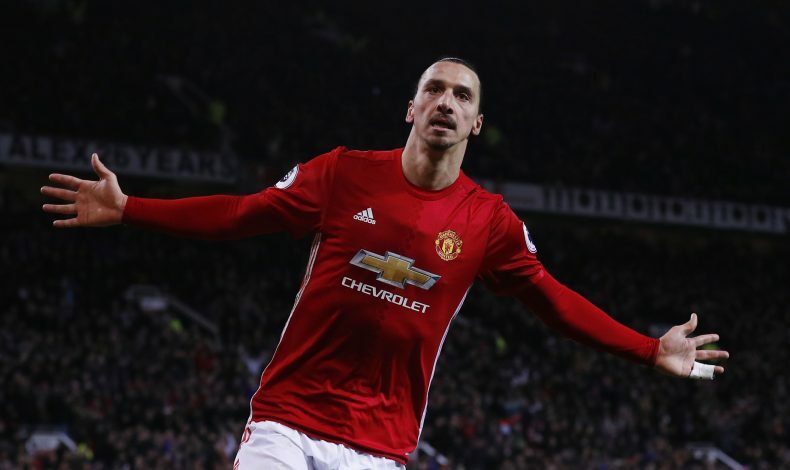 When Zlatan Ibrahimovic arrived at Manchester United, the critics and haters and the ones who believe in pessimism were the first to jump out of their seats and point out what a waste of a signing the player would turn out to be as he had past his best days and came to a team without European football. However Zlatan Ibrahimovic went ahead and did what Zlatan Ibrahimovic does best, he proved them wrong. The big Swede has been United’s top goal scorer already this season and is in the pick of things in the golden boot race in the premier league too. 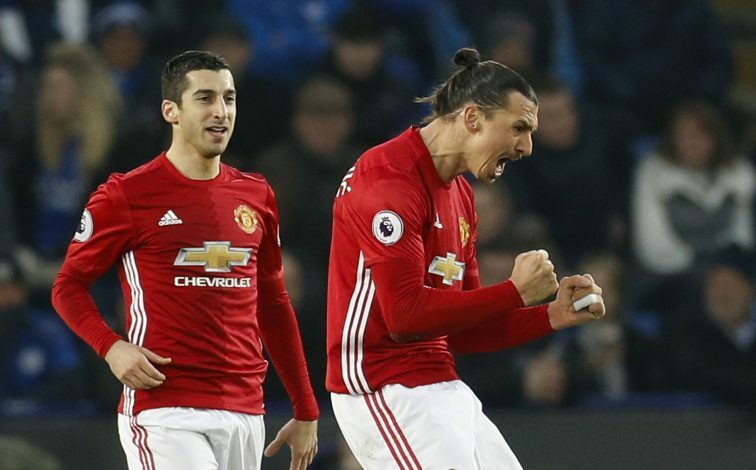 Already impacting the team as a leader, the league as a lion rising back to power and as a nightmare for defenders and keepers, Zlatan is inching slowly towards becoming one of the best free agents to ever grace the premier league. A major chunk of this stat comes from his time at PSG last season, but coming to Manchester United has only boosted his goal scoring form and hence contributed immensely in the quick achievement of this remarkable feat. Ibrahimovic has now netted more goals (74) than Lionel Messi (73) and Cristiano Ronaldo (72) since the start of last season, a stat that speaks volumes about the goal scoring abilities and hunger of the current United number 9. Considering how both Ronaldo and Messi are way younger than Zlatan, this achievement turns out to be that much more commendable and applause worthy. Yes, you read that right. 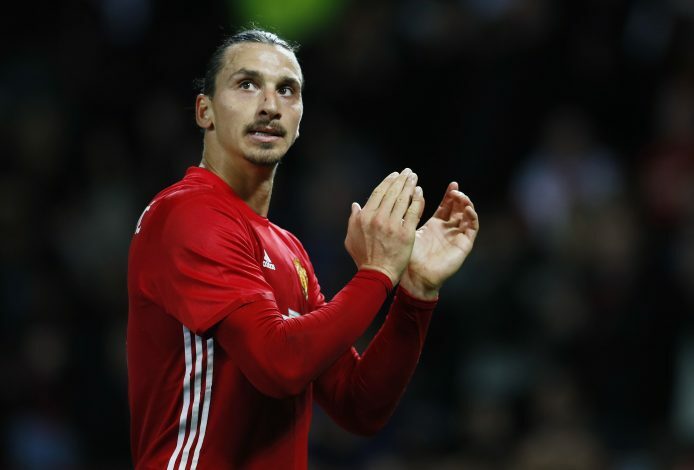 Zlatan, who has 24 goals, has a better goal scoring count this season across all competitions than any top flight player playing across the country. The striker is ahead of other goal getters in this race, namely Diego Costa who has 16 goals this season, Alexis Sanchez who has 20 and Harry Kane with 21 to his name. With such a list following him, Zlatan needs to be on his toes to maintain the lead he currently holds and by the looks of how things have shaped up so far, he does not seem ready to be caught up by anybody any time soon. 3. Third in the list of goals for United in a season by 17th February. It is no surprise that Zlatan, however great he may be does not top this list as he comes third with his 23 goals so far dated from the start of the season until the 17th of February. However, the players ahead of him in this category are Rooney at 2nd with 25 in the 09/10 season and Ronaldo on top with 27 goals in the 08/09 season and it can be said that both these players achieved this feat at a young age compared to Zlatan doing it at 35 years old. In the tough phase Manchester United have endured post the Fergie area, no player has managed to score 20 goals or more in a season wearing a Red Devil jersey. That was of course until Zlatan arrived and already broke that record with more than a quarter of the season remaining as he managed to bang in 24 and seems hungry and desperate for more. The last player to achieve this stat was Robin Van Persie in United’s last title winning campaign in 2012-13. 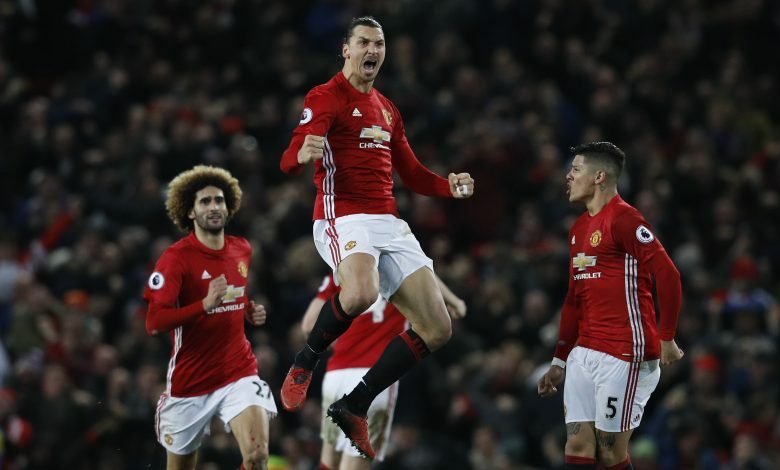 Going at a pace of 18 goals in his last 20 games, there seems to be no stopping Zlatan from soon ruling England’s top league as their most prolific goal scorer this term. Apart from his impressive goal ratio, the forward has also proved his worth as a team player and managed to pull off 6 assists so far in his short and starry United career. As absurd as this may sound, Ronaldo had only one hat trick in his legendary days as an United player and what’s more surprising is that it took Zlatan only 7 months to match that record after he managed to bag three goals against St.Etienne in the Europa League 1st leg which took place midweek. Not only this, he became the first player to score a hat trick belonging to United after Wayne Rooney did so back in 2015, a long time for a team known for attacking their way to glory. Apart from all the breath taking stats to his name already, the former PSG king has a few more records already to his name. He has already scored more goals, 24, by an United player since the start of last season, ahead of the likes of Rooney and Martial who have 20 and 24 respectively, without being part of the squad last season. It is fair to say that Zlatan has silenced all the haters, earned respect from those who doubted him, attracted global stardom attention and praises like he loves doing and is on the verge of greatness, all of this in 3/4th of a season. If the same continues, the end of the season will bring about some serious changes in goal settings and standards and records in the Premier League and in the level of football played across the country.